Organizations are forging ahead with plans for AI deployments and automation projects. Do you have a plan in place to transform the people and process side of the equation? 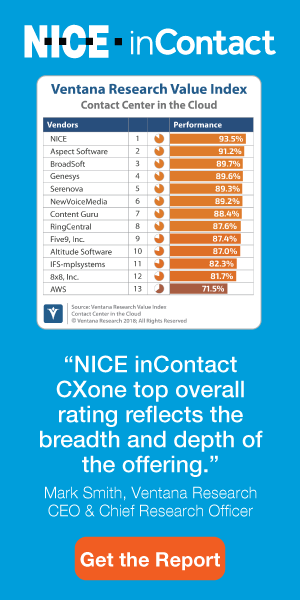 How to show the impact and value of your contact center technology. The ability to properly plan, and measure the performance of the plan, improves your contact center’s visibility as a valued asset. Veterans offer the contact center industry a highly qualified pool of candidates. Employee-centric decision-making drives high engagement and growth for this unconventional BPO. Practical, actionable advice for positive coaching and feedback results. New technologies and best practices for an increasingly complex compliance environment. Strategies to retain top talent during the holidays and beyond. Now You Can Shop at the Contact Center App Marketplace! Virtual marketplaces for contact center solutions are growing in popularity.